Send your details to the travel advisors at Kalpak Travel for more information about this trip. Heading out of the Tajik capital this morning, we’ll drive through the Varzob gorge – weekend getaway for locals from Dushanbe. Moving on, we climb steadily from the foothills into the Fann Mountains. 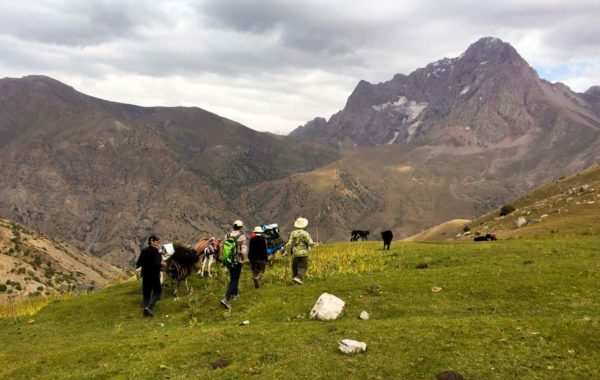 These picturesque peaks form part of the lofty Zarafshan ridge. As passengers, you will be able to gaze uninterrupted at their beauty while someone else takes care of the driving, allowing your mind to wander and the stress of your regular life to fall away like the valley slopes by the side of the road. After 2-3 hours, at Takfon village, we drive off the main road towards Yagnob valley. After one more hour of a bumpy ride we reach the village of Marghib, where we stop for lunch at a local family’s guesthouse. 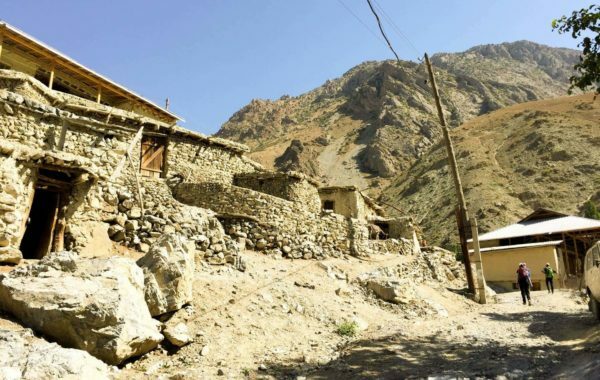 This place, lost in time, is one of the most photogenic villages in Tajikistan and you can enjoy uninterrupted views of the sheer rock face of Zamin Karor. In the afternoon, we drive further to enter soon the Yagnob gorge, named after the Yagnob river. From the gorge we cannot continue by car and will hike the last 3km to the village of Pskan. 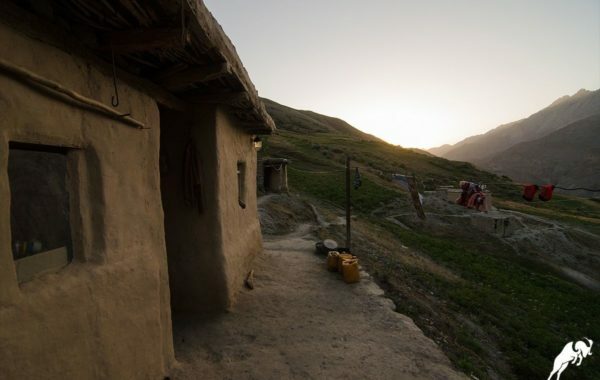 We will stay for overnight in a very simple guesthouse in Pskan, and get familiar with the lifestyle of the Yagnobis – direct descendants of the Sogdians from the time of Alexander the Great. Still today the Yagnobis speak Sogdian language. Please note: Toilet at Pskan is a pit latrine and there is no shower available. After breakfast, we will leave the village and trek down to Numetkan village where the mountain bikes will be waiting for us. Along Yagnob river we will have a delightful ride to Marghib (30km, ca. 5 hours). We will stop for lunch in form of picnic at a picturesque place along the way. In Marghib we will have dinner and stay for overnight in a family-run guesthouse (shared shower and western toilet available). After breakfast, we will continue mountain biking on the dirt road (mainly downhill) and partially (1/3) on the paved road. Lunch at café in Sarvoda where you can take a rest and have a nice lunch before ascending to Marguzor village. Overnight at a family guesthouse (shower available, but no western toilets). The next day we are tackling a trekking route at an even higher altitude, where the air is thin and breaths are measured. To acclimatize we will hike today up to Mutnoe Lake (3500m altitude). From the lake we have a fabulous view of Alauddin gorge and to the South, glaciers and peaks as far as the eye can see. Our guides will point the peaks out to you: Zamok (5070m), Energiya (5120m) and Chimtargha (5489m), the highest peak in the Fan Mountains. After a picnic at the Lake we return to Alauddin Lake, where we will spend the night at the shore of the picturesque lake in a tent (2770m). 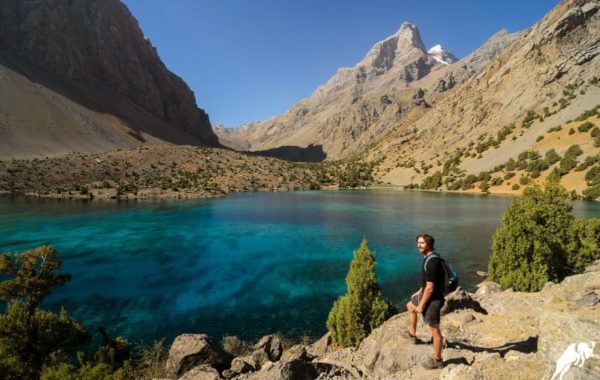 Today we will embark on a tough but rewarding hike via Alauddin Pass (3860m) to Bibijanat Lake. The path to Alauddin Pass is quite steep at times, and one of the most demanding parts of this tour. The incredible view from the pass is the first reward for your efforts. The second reward awaits you at Bibijanat Lake, one of our favorite lakes in the Fann mountains, amidst many more turquoise lakes. 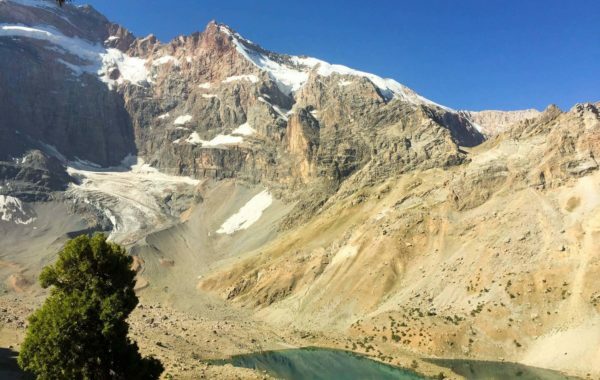 Despite the altitude of almost 3,000m if the weather is nice, it will likely be quite hot during the day and you might want to jump into the lake to get rid of the sweat of the long hike. We will set up our tents for the night right next to Bibijanat lake. After breakfast we will have a short walk around the area of Kulikalon Lakes and trek down to the Artuch alp camp (3 hours) where you have lunch overnight at Alp camp (shower and western toilet). 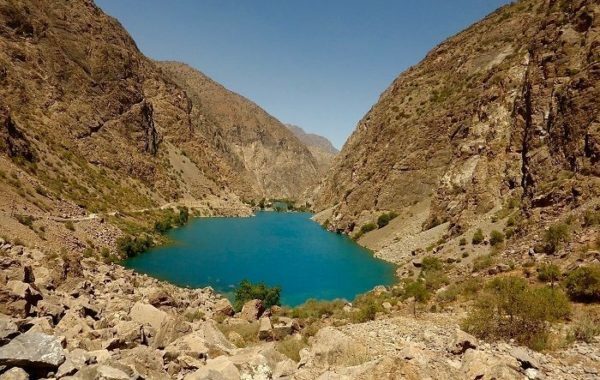 For the rest of the day you can relax or do a short hike to Chukurak and Ziyorat lakes. Today it’s time to get back on our mountain bikes. 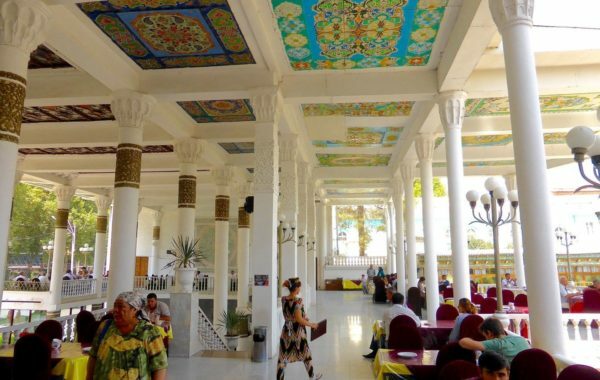 We will drive mostly downhill on a dirt road until Rudaki Mausoleum, where you will have a short break and visit museum and mausoleum of the most famous Tajik poet – Rudaki. We then continue mountain biking, ascending to Zimtud village, where we will have lunch in a family guesthouse. In the afternoon you can explore the village, get acquainted with the locals and their lifestyle or just relax at the guesthouse. We will have dinner and overnight in the same guesthouse (shower available, but no western toilets). The first part of today’s route can be done on mountain bike – to the village called Humorigung. 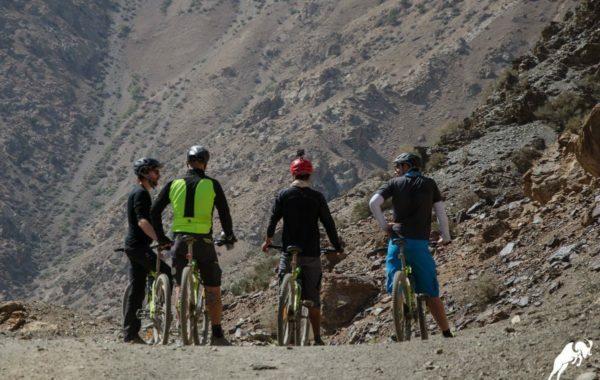 There we load our mountain bikes on the donkeys and continue by foot towards the campsite below Tovasang pass. Overnight in tent. Today is our last trekking day. We hike slowly up to Tovassang pass (3305m) and then down to Hazorchashma lake. 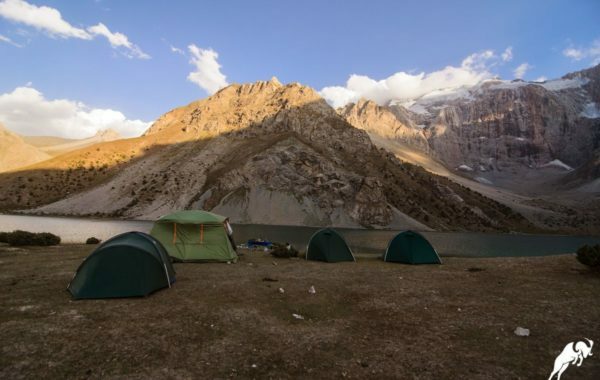 On the way we stop for picnic and at Hazorchashma lake we will set up our tents for the night. 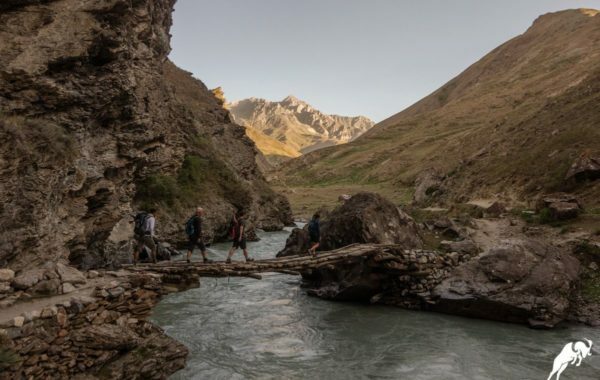 We will start the day with a short walk around Hazorchashma, the “7th lake”. The path is a popular route for local shepherds to move between the village and their summer pastures. After the walk, we get back on our mountain bikes and ride down along the river towards Shing village, passing 6 more lakes along the way. Near the 4th lake, at Noffin village we will stop for lunch at a family guesthouse. Overnight at a simple guesthouse in Shing village (no shower, no western toilets). Today we have another quite relaxed ride over off road and paved road (mostly). Our destination if the town of Penjikent, whose name translates as “the city of five villages”. It is located in the verdant Zeravshan river valley. Lunch at Penjikent where you taste the famous Penjikent traditional Plov at guesthouse. After lunch visit Penjikent Historical Museum and the old ruins of Sarazm – UNESCO World Heritage Site. Overnight at local hotel (private bathroom available). Our tour is slowly coming to an end and we are driving back through the mountains to Dushanbe. 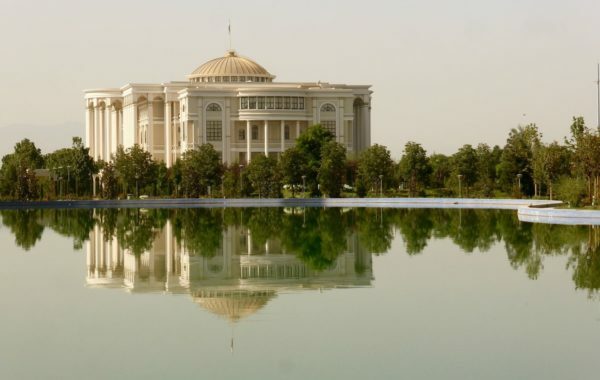 We arrive back in Dushanbe in the afternoon and you will have some time for last souvenir shopping or relaxing before farewell dinner. Overnight in hotel. Today it is time to say a fond farewell to Tajikistan. We will provide transfer to the Airport. We sincerely hope you have enjoyed your trip and will return soon to explore more of Central Asia. 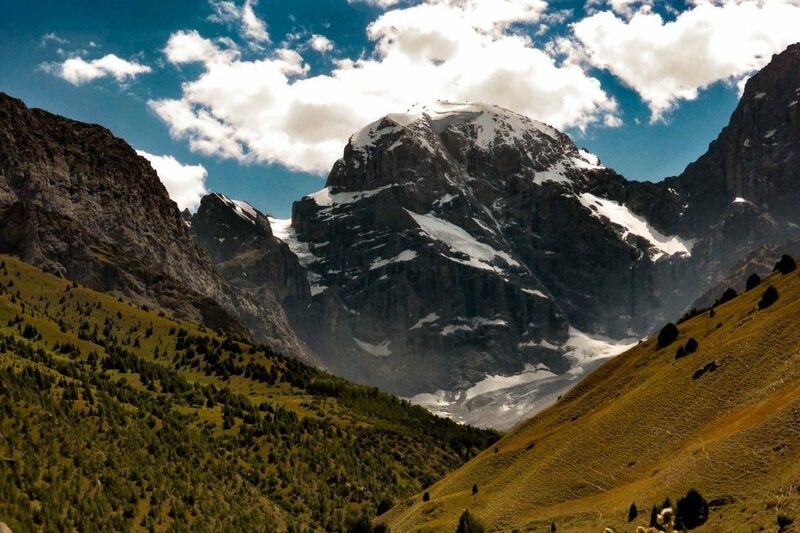 I was in contact with Luca for a combination of mountain biking and trekking in the Fann mountains in Tajikistan. My experience is solely positive; truly professional and passionate about the region. Mind you, Kalpak uses local resources and is responsible tourism. I really recommend Kalpak Travel! 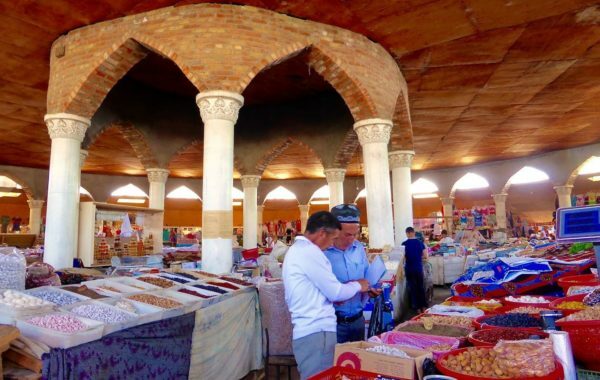 They make astonishing trips to Central Asia and are professional, serious and responsible. Four nights in carefully-selected, quality assured hotels. Six nights in family homestay. 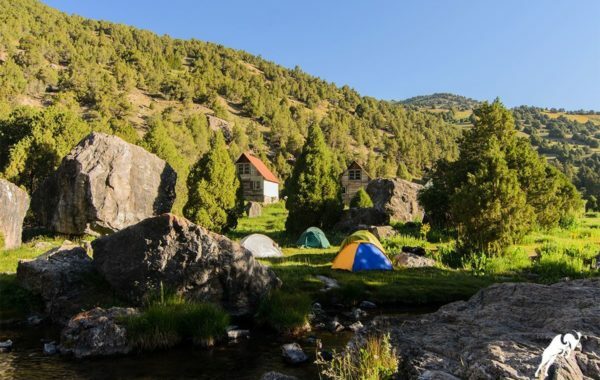 Four nights camping (tents provided). Expert, fully-qualified, English-speaking tour leaders and porters. All specialist safety equipment and horses provided. Full board (15 breakfasts, 14 lunches, 14 dinners). All road transport and airport/hotel transfers. Travel insurance is required (not included).